It takes about a week or so to bring the water in Tisdale's swimming pool up to a useable temperature when the pool opens to the public on the Victoria Day weekend. When you think about it that is a lot of energy in the form of natural gas consumption to heat up a swimming pool full of water. The Tisdale Parks and Recreation department have decided its time to go green and let the sun do the work. 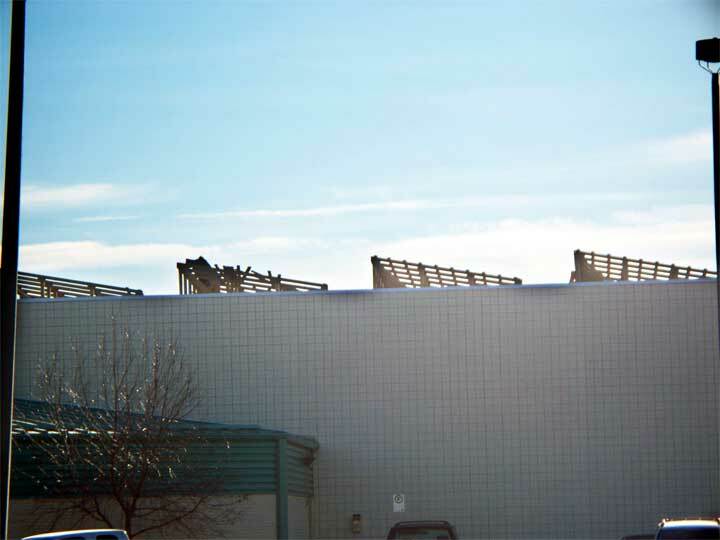 Construction is underway as the whole roof of the curling rink is being put to use with new stands being built to hold the solar collectors to heat the swimming pool's water.